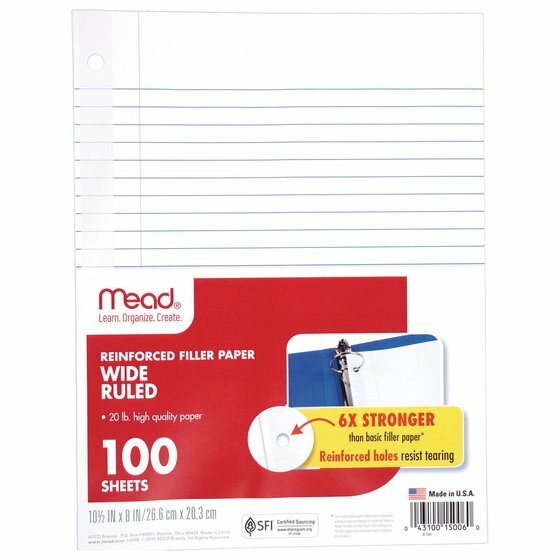 Mead® filler paper features reinforced holes to resist tearing out of a binder, and is 6 times stronger than standard filler paper. Our 3-hole punched, 20 lb. 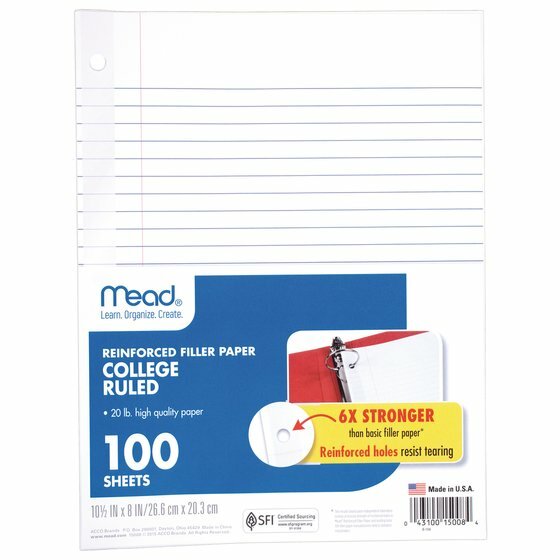 paper is ideal for use in a binder or prong folder for classroom notes and homework assignments.